There is nothing like a good steak and this recipe is no exception! Pair this flavourful sirloin steak recipe with sides like roasted potatoes and steamed asparagus. 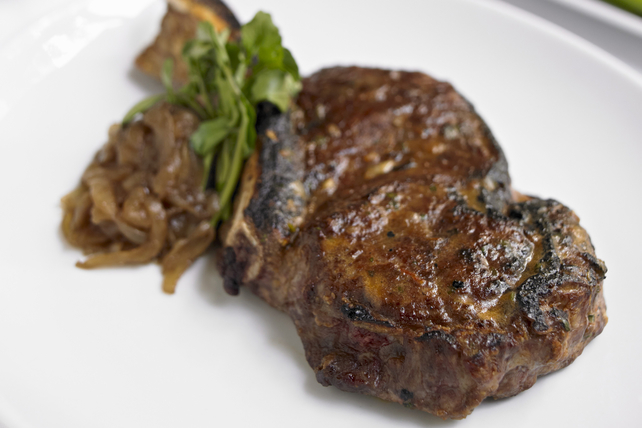 With this delicious recipe, your steak will beat the best steakhouse in town! Mix first four ingredients in medium bowl; pour over steak in shallow dish. Turn to coat both sides of steak. Refrigerate 1 hour to marinate. Heat oven to 400ºF. Heat oil in oven-proof skillet on medium-high heat. Remove steak from marinade; discard marinade. Cook steak 5 to 7 min. or until browned, turning halfway through. Transfer skillet to oven. Cook 5 to 10 min. or until medium doneness (160ºF). Let stand 5 min. before slicing diagonally across the grain. Serve with sautéed onions and watercress.